Jan Markell: I have a burden for the Church. But, the Church has compromised. Christ died for His Church. We know He loves it. It’s just probably in the years and decades that have gone by it has been a little more healthy than it is today. So, how did the Blessed Hope become the blasted hope? 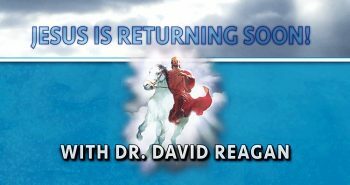 How and why is there such an attack on the greatest message, contained in one-third of the Bible no less, that the King is coming again? How did this happen? To kind of fully reveal this, I’m going to have to name some names. Some of you may not be fully happy with all the names I name. In the interest of time I’ve cut my list down a little bit here. Let’s go through it really quickly. Let’s consider the following questions: How did this happen? When did it happen? And, who let it happen? How did the greatest news in the Bible become to some last days madness? 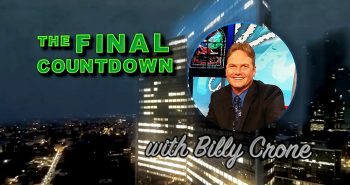 How is it that Christians are calling Bible prophecy a last days madness? Tom Hughes is the pastor of Calvary Chapel 412 Church in San Jacinto, California. 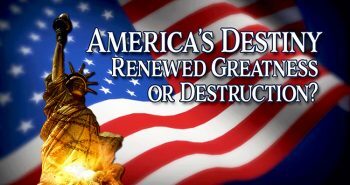 He wrote an article recently that summed up brilliantly why the Church now rejects Bible prophecy. These are his opinions, but I certainly agree with each and every one of them. Number one, Tom Hughes feels pastors don’t understand Bible prophecy. Perhaps their seminary didn’t train them to deal with Eschatology. Number two, Tom feels that pastors fear offending members. They fear offending those attending their church. Can you imagine that the greatest news that Jesus Christ is coming perhaps today could possibly offend someone? But, in some cases, it in fact does. So, pastors don’t want to scare away people. Sure, if we look at some of the headlines today they certainly can appear a bit foreboding. Church leadership worries they might lose ties if they talk about the end times. And, if you’ve got a building program that’s going to take ten years to accomplish, and you’re saying the Lord is coming back tomorrow, well that doesn’t encourage your congregation to give to the project. A third of Tom’s opinions is that Christians worry they might be identified with the loony fringe. Certainly, there has been a loony fringe. Just look at Harold Camping and the other date setters. Christians don’t want to be aligned with kooks, and I don’t blame them. I don’t blame them at all. These are three of Tom’s opinions. And, frankly, I agree with them, having ministered in churches for a long time. Another reason I believe the teaching of Bible prophecy has declined is that there is a decline in a belief in Dispensationalism. When I was growing up as a teenager to my 20’s, pretty much every evangelical church believed in Dispensationalism. They taught the verses that distinguish between the Church and Israel. We believed in a literal Rapture, a literal Tribulation, a literal Antichrist, the Millennium, and the literal Second Coming. But, since then, there has been a decline in Dispensationalist teachings. Sure, the timing of the Rapture was hotly debated, but afterwards we still could be friends. Its hard if you don’t believe in the Pre-Trib Rapture, but we can still be friends. We can debate and not divide over some of these secondary doctrinal issues. 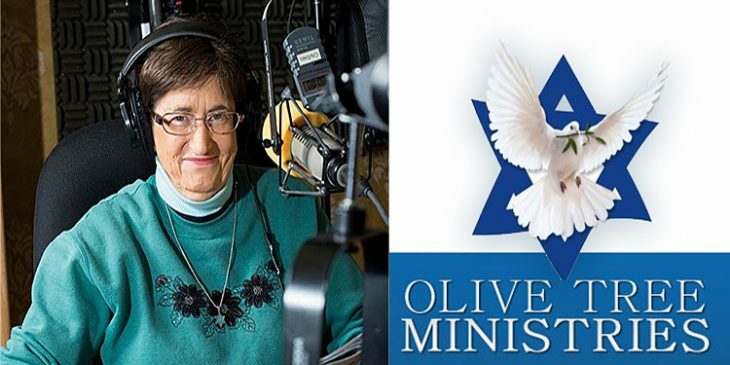 Other issues concern the emphasis on Israel’s end time role, and that the Tribulation is primarily for Israel and then for the pagan world to shake them up to see Christ. These basics of Dispensationalism were once widely taught, but now there’s a declining interest in the Church concerning this theology. They’ve been replaced by some destructive theologies. Honestly, I could write an encyclopedia on all the destructive theologies that have come into our churches. For instance, Amillennialism has returned. Amillennialism is very old, and it takes nothing in the Bible literally. 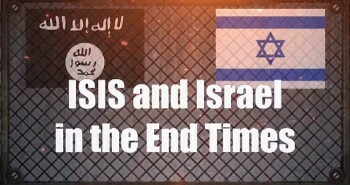 It doesn’t provide any favorable impression of Israel’s end time role. Also, the Kingdom Now, or Dominionism, has also come back onto the scene. This teaches that if we work hard enough and provide enough social justice programs that we can make the world perfect. How’s that working out? That’d take 20 trillion years for the Church to make the world perfect! Then there’s Preterism. How can anybody possibly believe that all of Bible prophecy happened back in 70 AD? We missed it? We missed it! It all happened long ago. It’s all history! That’s what Preterists believe. Another destructive theology that is crowding out Dispensationalism would be Replacement Theology. This errant doctrine teaches that the Church is the new Israel. This terrible view is even working its way into once extremely solid denominations and churches. Then there’s Christian Palestinianism. This teaching deserves a message all on its own. Remember Yasser Arafat being lowered from a helicopter to the top of the Church of the Nativity back in 2004? A belief of Christian Palestinianism is that Jesus was a Palestinian and He wasn’t even Jewish. Therefore, Christians should celebrate the Palestinian people. What?! There’s no such thing as a Palestinian! Even though there’s no such thing as a Palestinian race or people, none the less, support for Christian Palestinianism has been steadily creeping into our churches, and some of them that were once sound. In the second segment of Jan Markell’s teaching on the mockery of Bible prophecy, Jan will get specific about modern-day mockers, starting with Hank Hanegraaff. 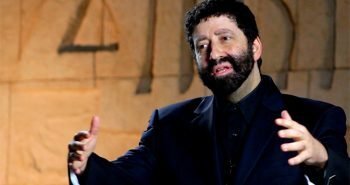 Ross, you can order all our resources on our Bible Prophecy Resources website at https://bibleprophecyresources.com/. Hello Nathan Jones. I am so thankful for Lamb & Lion Ministries. Concerning Endtime Ministries, you guys are number one! I do NOT trust my (ears) to just anybody. Perry Stone would be another to gleam from concern end time prophecies. Tommy Ice also. “WE the people” of God really appreciate your hard work. Thank you for those encouraging words, Dan! So good to learn that Lamb & Lion Ministries has been a blessing to you. This article is spot on and just the tip of the iceberg. What I would add is that you can directly trace a lot of these problems to Calvinism and the Neo-Cals and covenant theology in power right now in churches, book stores and many conferences where thousands, including young pastors, are flocking to. They want nothing to do with dispensationalism. 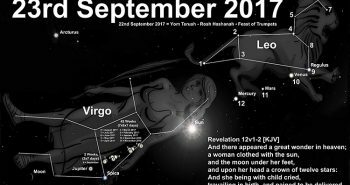 This article By Jan Is very Powerful and i say on spot in these last day”s.Like it said in scriptures,many will fall away seducing spirits wrong is right,and right is wrong,replacement by church to Isa-real.All this was told thousands of years ago,and many have scales on their eyes and are blinded.Lord said these things will come to pass.Just few other happenings must and is taking place. Great articles from Lamb & Lion and Olive Tree Ministries. We are rich in truth and the Holy Spirit. Everything that has happened and is happening is foretold by Christ, how wonderful to have the wisdom and discernment that comes from our faith and belief in the One True God who sends us the Holy Spirit as our counselor. Isn’t it great sharing the truth with other believers and those who are saved by their faith! The Holy Spirit will teach you all things, John 14:26. When the Spirit of truth comes, he will guide you into all truth. John 16:13. Unbelievers are deceived into believing the lie over the truth. They perish because they refuse to love the truth and so be saved. 2 Thessalonians 2:9-12. When events happen that are predicted in the Bible, it confirms my faith even more. Bible Prophecy is given to us for a reason, because we are given assurance that God IS in control. Does amilleniallism teach the future return of Christ, the 2nd Coming? Yes, but without the Rapture, Tribulation or Millennial Kingdom. For further info on Amillennialism, watch http://christinprophecy.org/sermons/amillennialism/ and read about the three main end time viewpoints at http://christinprophecy.org/articles/end-time-viewpoints/. Do you consider Kingdom Now and Dominionism to be the same thing? Please help me verify (with a book title or other paper/sermon/teaching link) that a Dominionist spoke of any “requirement” to establish perfection in the world before Christ can return — I’ve been looking but cannot come up with any reference that supports that point of view. We are grateful to have such solid bible and prophecy teachers. Dependable teachers who are not false prophets that mislead people. I have many of Dr. Reagans books and Jan Markel’s as well. I look forward to reading the truth each month and so glad that my knowledge is based on God’s word and promises. Thank you for those encouraging words, Debbie! 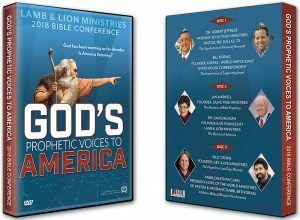 So good to hear Lamb & Lion Ministries’ Bible teachings have been a blessing to you.